Arrive in Ljubljana. Transfer from the airport to the hotel. After breakfast city tour ofLjubljana- the capital ofSlovenia. Walk along the river Ljubljanica which passes through the town’s centre, tour of theThreeBridges, baroque City Hall andLjubljanaCastlefrom the 13th century (no entry). We continue our journey to Bled, an enchanting resort town by the lakeshore, at the foot of theJulian Alps. Upon arrival lunch at local restaurant, afterwards sightseeing tour of the fairy-tale castle Bled and the mediaeval city perched on a high cliff 100 m above the lake. Ride on a traditional boat “Pletna“ to the small island in the middle of the lake, comprising theChurchof St. Mary of the Lake which dates from the 17th century. 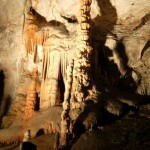 We depart for Postojna and a world famous Postojna Cave, the biggest and most visited cave in Europe which is also known as one of the most beautiful caves in the world. 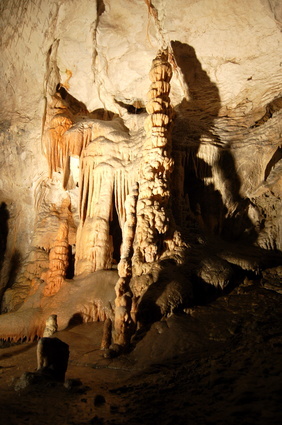 Ride on a miniature electric train through the fantastic subterranean world decorated with beautiful stalactites and stalagmites. We continue our journey to Opatija, one of the most famous tourist resorts in the Mediterranean, which in the last century served as a resting-place of the European aristocracy and was therefore known as “the Croatian Nice“. Arrive at the hotel, dinner and overnight. Leaving for the western coast of Istria and the city of Porec. The highlight of the town is the Euphrasius’ Basilica, the complex of buildings including the atrium, the baptistery, the bishop’s palace and the three-nave basilica. Driving along the Lim bay to Rovinj, “the pearl of the Istrian west coast”. 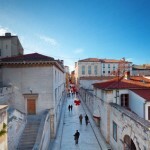 Walk through the streets paved with stone up to the St Euphemia’s Cathedral – the symbol of the city. According to the legend the marble sarcophagus of St Euphemia sailed to Rovinj in the 9th century. Continuing forPula, the oldest town on the eastern coast of theAdriatic Sea. 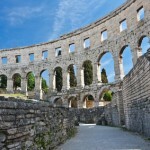 Sightseeing of the old town covers the famous amphitheatre (Arena). Dinner and overnight in Opatija. After breakfast, we head towards Zadar. 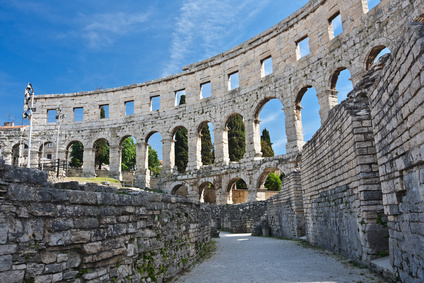 Upon arrival sightseeing tour of Zadar which includes the Cathedral of St. Anastasia, considered to be the most impressive basilica in Dalmatia,churchofSaint Donat, the ruins of roman Forum. Dinner and overnight in Zadar. After breakfast departure for Sibenik and short sightseeing tour of Sibenik, the oldest Croatian and Slavic city on the Adriatic with a famous Cathedral of St. James. 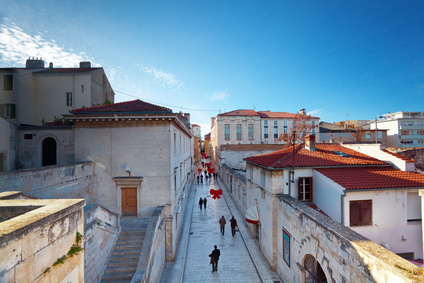 Continue for Trogir whose historical centre was placed on the UNESCO’s World Cultural Heritage List in 1997. After the short city tour, proceed to Split. Sightseeing tour of Split. This “capital“ of Dalmatia is most famous for Diocletian’s Palace which is the most important and best preserved Roman building in Croatia, built between AD 295 and 305. The sightseeing tour of the city includes Diocletian’s Palace (also registered on the UNESCO’s List of World Cultural Heritage) with Peristyle, Cellars, the Temple of Jupiter and the Cathedral of St. Domnius. After breakfast departure on a ferry fromSplitto theislandofHvar(Stari Grad harbour). 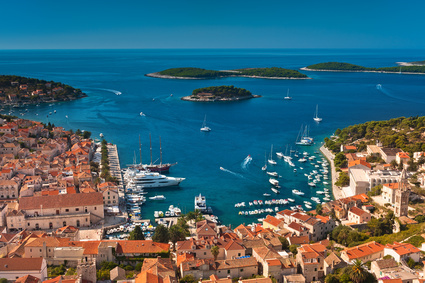 The town of Hvar will enchant you w with its easy-going atmosphere, grand palaces, churches, monastery and cathedral, charming narrow streets, beautiful seaside promenade and the oldest urban theatre in Europe which is still l running. Hvar has had a reputation of being a famous tourist resort for a whole century. Return to Split by afternoon ferry. After breakfast, proceed south along Makarska Riviera and Neretva Valley towards Dubrovnik, one of the most beautiful stone cities in the world. The walls of Dubrovnik girdle a perfectly preserved complex of public and private, sacral and secular buildings representing all periods of the city’s history, beginning with its founding in the 7th century. Particular mention should be made of the city’s main street, Stradun, the Rector’s Palace, thechurchofSt. Vlaho, the Cathedral, three large monasteries, and the City Hall. Dinner and overnight in Dubrovnik. After breakfast, departure by ferry to Korcula where we’ll explore the town of Korcula with its well preserved town walls from the 13th century and a beautiful cathedral of St. Mark – the most important building in Korcula. 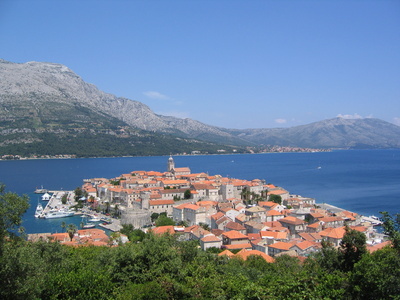 Transfer by ferry to the town of Orebic and proceed south along Peljesac peninsula towards Dubrovnik. The sunny climate ensures perfect conditions for the wine-growers on the peninsula. The picturesque hillsides and valleys of Peljesac are covered in vineyards. 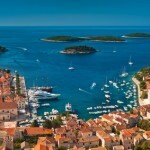 Drive to Ston, a well-known oyster-growing capital inCroatia. Time at leisure until transfer to Dubrovnik airport for the flight home.